Contact us for your project! If You’ve Got Questions, We’ve Got Answers! Locate the label on the outer surface of the equipment for a manufacture date. If the equipment is less than five years old it may have a warranty, but also may not based on the model. Warranty terms and conditions change by manufacturer and the installing company. Rumpca Heating & Air Conditioning Experts can verify the warranty status of your heating and cooling system via Get Warranty form. Regular filter replacement helps your heating and cooling system operate at peak levels and improves indoor air quality. It is important to change filters regularly to ensure proper air flow and to keep your home free from dust, allergens and germs. Depending on the type of filter you have, you may require weekly or monthly filter replacements. Your Rumpca Heating & Air Conditioning Experts service or installation technician will recommend the ideal filters and replacement schedules for your unit(s). Is it making strange noises? 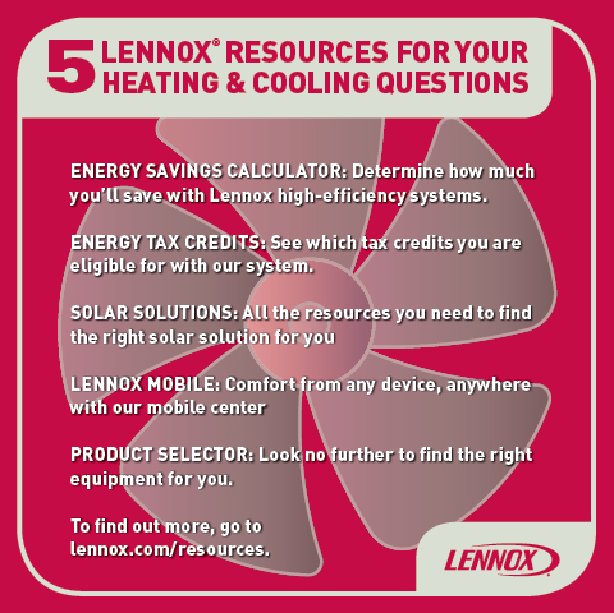 Is it cooling or heating all areas of your home sufficiently? Has it been taking longer to cool down or heat up? Have your utility bills been rising for no apparent reason? Any of these are signs that you may have a problem that needs service. In most cases, the longer you delay, the worse any underlying problems will get. So be sure to contact Rumpca Services to check out your system whenever you notice anything out of the ordinary. Bigger isn’t always better; its performance and efficiency that count. Before purchasing a replacement system you should always make sure your system is sized properly to match your needs and budget. Your Rumpca Heating & Air Conditioning Experts will thoroughly assess your home and comfort requirements to determine the proper size and make the appropriate recommendation. According to studies created by the U.S. Environmental Protection Agency, exposure to air pollutants indoors can be 100 times higher than outdoors. Frequent dusting and vacuuming can help reduce the amount of dust and dust mites present in your home. However, not all airborne particles can be eliminated. Filtration devices can help eliminate particles that are too small to be caught by a vacuum. Some filtration devices include UV light units, air filters, energy recovery ventilators (ERVs), heat recovery ventilators (HRVs) and electronic air cleaners. A Home Health Report Card from Service Experts will provide the information about which indoor air improvement devices are right for you. 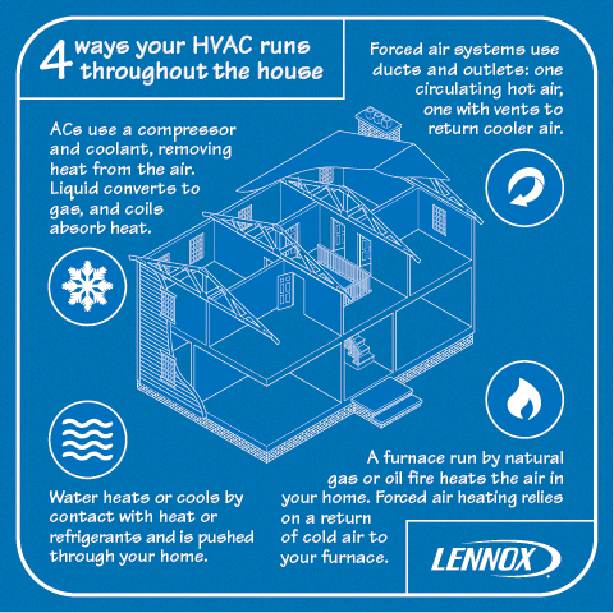 To receive a Home Health Report Card and personal air quality consultation Rumpca Heating & Air Conditioning Experts at 651-459-2896. • Make sure the furnace filter is not clogged or dirty. A one inch thick standard or pleated filter should be replaced every 30 to 60 days. • Make sure your power switch is on. It may look like a light switch mounted on the side of the furnace. Sometimes this can get bumped when replacing the furnace filter. • Make sure the service door is on the furnace. There could be a safety switch that will shut the furnace off if the service door is not on the furnace correctly. • You may me able to check to see if the furnace has power by going to the thermostat and turning the fan switch from auto to on. The furnace blower fan should come on. • You may also be able to look to see if there is an indicator light located on the control board or circuit board of the furnace. If the indicator light is on, this means there is power at the furnace. If the light on the control board is flashing, you can count the flashes and it may give you an idea of what may be wrong with the furnace. There may be a reference sheet to tell you what the flashes mean on the service door or in your furnace manual. • Turning the power switch off or turning the thermostat off for 30 seconds and then turning the switch or thermostat back on may reset the control board on the furnace. 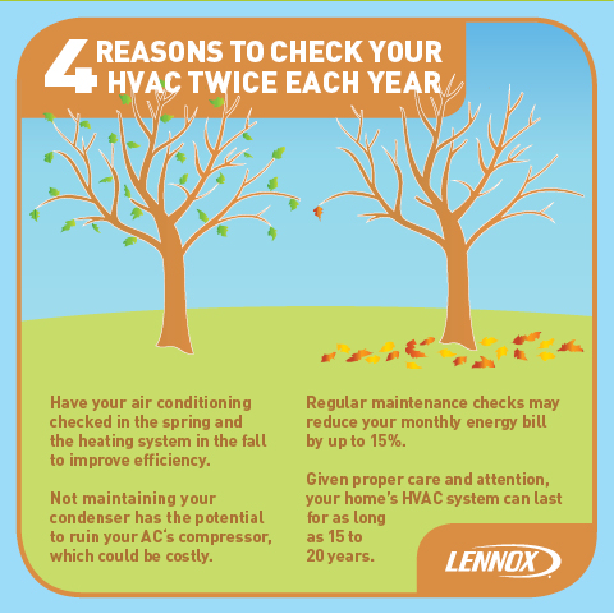 The furnace may start up and run, but will need to be serviced by your local HVAC contractor as soon as possible. The furnace locked out possibly because of a safety issue or the furnace is dirty and needs to be serviced. 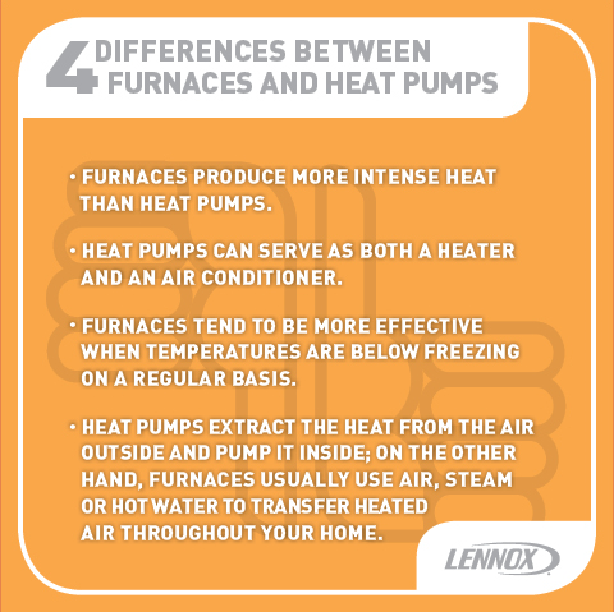 The manufacture of the furnace and the utility company is going to recommend you have the furnace service once a year. • Check outside the condenser coil to make sure it is clear of debris. With the power shut off, the outside condenser coil can be washed out with water hose. Your coils should be washed or cleaned at least once a year. • If you have an Xcel Energy electrical saver switch, a light should be on when power is present. Note: if power is disconnected to the saver switch when power is turned back on their will be a 7 to 10 minute time delay before air conditioner with cycle on. Please call with any questions or if you would like to setup a service call for air conditioning repairs. • Check temperature setting on water heater to make sure it is at the desired set point. Caution: if water temperature is too hot, it could cause burns or scalding, especially for the elderly or young children. • If your water heater is making crackling or banging noises when it is operating, this could be caused due to calcium or lime build up in the water heater and your water heater may need to be replaced. • Use caution to make sure the water temperature in the water heater is not too hot. If water is too hot, it could be dangerous and cause personal injury, and your water heater should be serviced by your local plumbing company as soon as possible. • If the water is backing up out of the floor drain when flushing the toilets or using the bathroom, the main line to the street may be clogged. In most cases, this is caused from roots growing into joints or cracks in the sewer pipe out towards the street. We would typically clear the line to the street and cut out the roots with a cable type machine with a cutter on the end of the cable. If roots are growing into the sewer pipe, the pipe may have to be cleared periodically to cut out the roots. • If water keeps backing up out of the floor drain when you’re doing laundry or draining the kitchen sink, but your bathroom toilets are working okay and do not back up into the floor drain when being flushed, then the floor drain inside the house is what needs to be cleared. The floor drain is a 2 inch line under the concrete floor that runs over to where it connects to the main drain. • If water/sewage is backing up into the house when no water is being used, this is an indication that the city sewer could be plugged and you should call the city public works as soon as possible. • If your septic system backing up out of the floor drain, you may want to check to see if the tanks are full. If you have an inspection cap or cover outside, you can remove the cover and look to see if the water is backed up into the pipe. There should be an air cap between the pipe or at the top of the water if the septic system is working okay. If water levels are high in the pipe or overflowing onto the ground, the septic tanks may need to be pumped before we can clear the line and determine if the septic system is working. Please call with any questions or if you would like to setup a service call. 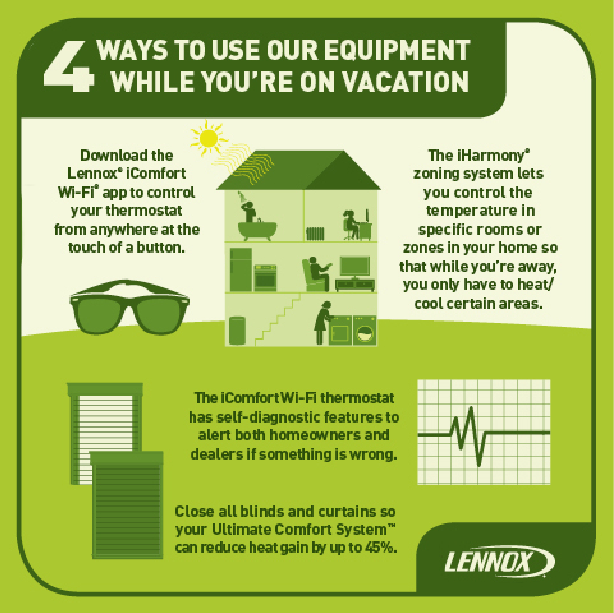 We are always looking to provide more information on ways our customers can save money and improve their overall home comfort. Below, you will find some interesting facts and information on some key topics. If there is anything else you would like to learn more about regarding your HVAC or plumbing systems, please call us at 651-459-2896. 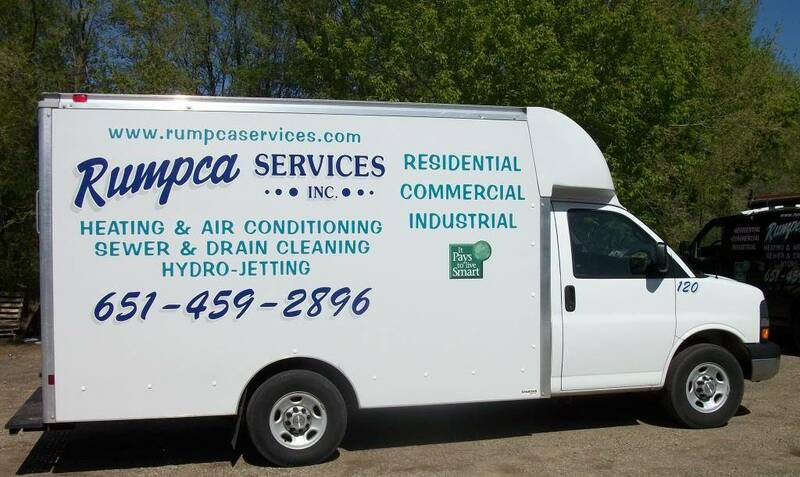 You can always count on Rumpca Services, Inc. to get to you fast and get the job done right the first time. We use state-of-the-art diagnostic equipment to find the source of your heating and air conditioning problems and fix them fast. © 2019 Rumpca Services, INC. All Rights Reserved.